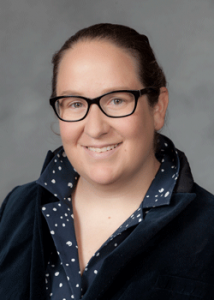 From April 15 through June 15, literature professor Meredith Farmer will be a Dibner Library Resident Scholar at the Smithsonian Institution Libraries, based in the National Museum of American History. She will be doing research for two different projects: completing her book project, Melville’s Leaks: Science, Materialism, and the Reconstitution of Persons, which she developed considerably as a Dibner Fellow in 2014, and digging into the archives for development of a new project on meteorology, specifically “The American Storm Controversy” in the 1840s along with early work on climate change. The Smithsonian, in fact, played an incredibly instrumental role in the development of early work on climate because its first Secretary (of State), Joseph Henry, had been fascinated by it for years. He instituted a national weather reporting system that was run from the Smithsonian Castle and dedicated 70% of the Smithsonian’s original budget to “solving the problem of American Storms.” Henry also built and displayed the first national weather map. You can read more about Professor Farmer and her past work as a Dibner Fellow at the Smithsonian Institution Libraries blog here.